Warwick District Council is preparing an ambitious bid to have Channel 4 move part of its operation to the south of Leamington town centre. The television channel is moving its headquarters out of London and local authorities now have the opportunity to bid to host either the HQ or one of two new hubs it is planning to open. The authority will be bidding for the latter as part of its grand plans to rejuvenate a large area of the town south of the River Leam. Cllr Andrew Mobbs, leader of the district council, said: “I have been working in the background with senior officers for some time and met with Channel 4 last year. "This is an exciting opportunity for our district, but we are entering a highly competitive process against bids from throughout the country. "I believe that a hub, as part of our Creative Quarter initiative, would be a wonderful addition to our already strong presence as a centre of digital and creative excellence. "We are enthusiastic about this as it confirms the value we place on this sector’s contribution to the local economy. Council officers are now working with various organisations to produce the Council’s bid to be submitted by May 11. 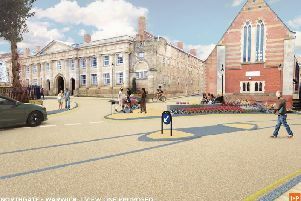 The bid will focus on the benefits of being based in a Regency riverside town, at the heart of the country and on Leamington's successful digital creative economy, as well as its broad vision which "underpins the district council’s projects and initiatives to make Warwick district a great place to live, work and visit".